Welfare experts have ridiculed a government claim that thousands of parents on government benefits earn more than if they had a job, saying it is built around a mathematical mistake. The claim, published in The Australian on Friday and backed up by Social Services Minister Christian Porter, is that single parents with four children can get payments totalling $52,523 per year if they don't work but only $49,831 after tax if they work and receive the median full-time wage. Mr Porter said the data showed taxpayer-funded benefits could be providing a ­disincentive to work, a systemic flaw that required government ­attention. "What is not in any recipients' best interest is to be deprived of the incentives to reduce income from welfare with income from work," he said. Treasurer Scott Morrison backed him saying it was "a crying shame that some Australians would have to take a pay cut to get a job in this country because of the way our welfare system works". Former Department of Social Security analyst David Plunkett said the calculation excluded $30,916 in family tax benefits that the parent working full-time would also receive, meaning that when "apples are compared with apples", the parent would receive $80,747 if working and $52,523 per year if not working. The parent would be almost $30,000 per year better off working than not working, rather than than $2692 worse off as claimed. Australian Council of Social Service CEO Cassandra Goldie said the claims were part of a disturbing pattern. "It appears to be a deliberate strategy to generate a story which creates this impression that we've got a social security system which is 'bloated and too generous' when the facts will show it's completely to the contrary," she said. "It creates an incorrect and misleading impression that single parents are doing well on welfare. This is absolutely wrong." She believes the claims are aimed to convince the Senate crossbenchers to support government cuts to family payments. Peter Davidson, research director at ACOSS, said the "glaring omission" was remarkable because family tax benefits were the biggest source of income for the non-working parent. To have cited them as income while not working, but not while working biased the calculation by $30,000. It also failed to build the case for government plans to scale back family tax benefits, because if those plans were approved by the Senate and legislated the differential would be unchanged. "This single parent family with four children stands to lose about $4000 a year [$80 a week] in Family Tax Benefit payments if legislation is passed," Mr Davidson said. "That family would lose the same amount whether the parent is out of paid work or employed full-time." A total government payment of $52,523 was not a lot for a family of five. "There is a reason a large family receives much more money than 93 per cent of others receiving Family Tax Benefit: children are expensive," he said. "Excluding rent assistance, those family tax benefit payments average around $7000 per child which has to cover all child-related costs including food, clothing, and school costs." The $87 per week received in rent assistance would cover only a fraction of a Sydney or Melbourne rent. A spokeswoman for Mr Porter defended the original figures. "The point being made is simply that a person receiving the single parenting welfare payment, plus family tax benefits and other welfare payments, gets an amount equivalent to what another person might earn working full-time." The amount of welfare being received in the example is equivalent to a full-time median wage, she said. If only we had a clue why home prices are soaring out of reach. On Monday Treasurer Scott Morrison offered half a clue. He told the Urban Development Institute it was all about supply. The more houses and apartments that developers were allowed to build, he said, the more residents would be able to buy. That's true, if you avert your eyes from some of the more immediate reasons residents are unable to buy. And they're growing. Morrison said over the past 20 years the proportion of households either owning outright the homes in which they live or buying them with a mortgage has slid from 71 to 67 per cent. For Australians aged 25 to 34 the proportion has dived from 39 to 29 per cent, and for those aged between 35 and 44, from 63 to 52 per cent. These days only 13 per cent of new home loans go to first home buyers, down from 19 per cent. So expensive are homes becoming that the share of median household income devoted toon mortgage payments for Australians aged 35 to 44 has more than doubled in 30 years. Incredibly, it's happened at a time when mortgage rates have slid to their lowest on record. Morrison says more houses and units will solve the problem, but at the rate at which they are being snapped up by investors (more than half the money lent to buy homes each month now goes to investors, up from 15 per cent during the 1990s) they won't help much. As one of Morrison's colleagues, Liberal backbencher John Alexander, puts it: "It's not much good increasing supply if it's consumed by opportunistic investors." What matters for a tolerable retirement (far more than superannuation) is owning the home in which you live. If you do, the age pension is enough to get by on. If you don't, you have to pay rent. Morrison's own figures show we are condemning more and more Australians to retirements burdened by rent. Alexander conducted the inquiry into home ownership that the government seems to have sat on. Thirty hours of expert testimony and scores of submissions have produced nothing, so far. Work more or less stopped when Alexander was moved to another committee a year ago and then the inquiry was allowed to "lapse" after the election. But looking through the hundreds of pages of transcripts it's possible to get a good idea of why home ownership is shrinking, and the best place to start is the evidence from Morrison's department, treasury, then run by Joe Hockey. Graph 13 in its submission shows that up until the end of the 1990s the median dwelling price stayed in a tight band of 2.5 to 3 times household after-tax income. Then in the space of three years it shot up to near four times after-tax income and has stayed there ever since. What happened at the end of the 1990s? In September 1999 the government halved the headline rate of capital gains tax, making negative gearing suddenly an essential tax strategy. Whereas before, renting out a house at a loss for tax purposes had been mainly an exercise in delaying tax, because the eventual profit made selling the property would be taxed at close to the seller's marginal rate; afterwards, with the profit taxed at only half the marginal rate, it became an exercise in cutting tax. Would-be investors poured into the market. One in every six taxpayers became a landlord. To get there and stay there they've had to outbid would-be residents. As the Reserve Bank's Luci Ellis put it succinctly in evidence to the inquiry: "It is a truism that if an investor is buying a property, an owner-occupier is not." Far from seeing the explosion in prices as a problem, the Howard government embraced it as a sign of success. "Rising house prices make for happy voters," one of his parliamentary secretaries, Ross Cameron, infamously declared. Howard himself said he had never heard of a voter complaining about rising prices. The invasion of negative gearers has been followed by an invasion of foreign buyers, who push aside would-be owner-occupiers in exactly the same way. Rather than living in the homes they've bought, they treat them as investments and either leave them empty or rent them out to tenants who would have once had a chance of owning them. The 2011 census found an extraordinary 12 per cent more dwellings than households, some of them not bought to live in, others bought as holiday homes and second homes. One of the barely stated reasons why house prices have been climbing out of reach of first home buyers is many of us have been becoming richer, and we seem to want better located and more expensive, and second homes more than anything else. Reinstating capital gains tax and imposing a land tax would help, as would building more houses. But there is something in our psychology that's doing it as well. We seem to want to push up the prices we complain about. Adding "supply" might do no more than give us something else to bid up. Weaker than expected underlying inflation has two market economists predicting a rate cut on Melbourne Cup Tuesday – although neither with much conviction. Each of the Reserve Bank of Australia's preferred measures of underlying inflation slipped in the September quarter. The so-called trimmed mean came in at 0.4 per cent, down from 0.5 per cent in June. The weighted median came in at 0.3 per cent, down from 0.4 per cent. The annual underlying rate averaged 1.5 per cent, well below the bank's target band of 2 to 3 per cent. Although the headline rate climbed from 0.4 per cent for the quarter to 0.7 per cent and from 1 per cent over the year to 1.3 per cent, most of the jump was due to outsized increases in the price of fruit (up 19.5 per cent in the quarter) and vegetables (5.9 per cent) with tomatoes, potatoes, cucumbers, grapes, peaches, plums, bananas and mangoes the biggest movers. "Our view before today's numbers was that an underlying increase of 0.3 per cent or less would leave inflation trapped at the very low rates that contributed to the May and August rate cuts," said Commonwealth Bank chief economist Michael Blythe. "As such we continue to expect the bank to cut the cash rate to 1.25 per cent at the November meeting, although we hold this view without great conviction." Bank of Melbourne chief economist Besa Deda said persistently low inflation and further signs of slack in the labour market made a "strong case" for a further cut. "That said, the data may not be enough of a downside shock for the bank," she said. "With some hesitation, we continue to expect the bank to cut official interest rates by 0.25 points when it meets next week, but we admit it will be a very close call." Tradables inflation, which measures changes in the prices of goods and services that can be traded internationally, climbed from zero per cent in the year to June to 0.7 per netcent in the year to September. Non-tradables inflation, watched more closely by the bank, remained little changed in the year to September at 1.7 per cent, up from 1.6 per cent. HSBC chief economist Paul Bloxham said the results left the door open for the new Reserve Bank governor Philip Lowe to cut rates if he wanted to. "However, with growth running above trend, the central bank having cut by 0.50 points since May this year and coal and iron ore prices having bounced, I expect the bank to stay on hold." Futures market trading ascribed a mere 0.6 per cent probability to a rate cut on Tuesday. The Melbourne Cup day board meeting will be followed by the release of updated Reserve Bank forecasts on Friday. The Prime Minister's special adviser on cyber security has told the Senate the denial of service attacks on the census website were small and predictable and should not have brought it down on census night. Malcolm Turnbull now has the report Alastair MacGibbon conducted on behalf of the Prime Minister to determine "which heads will roll and when" as a result of the debacle. "They were indeed small attacks," Mr MacGibbon told a Senate committee on Tuesday. "The attacks were around three gigabits per second. To have some comparison, it's not uncommon now to see attacks of 100 gigabits per second, and some of the attacks against some of the internet infrastructure such as domain name servers are up to 1000 gigabits per second. "There was a massive difference between the size of the attacks on the Bureau of Statistics' census website and the ones that are encountered routinely by corporations and governments." The bureau's back-up plan to protect the site if denial of service attacks couldn't be overcome was logically flawed. Labelled "Island Australia", it was to ask IBM to block traffic from overseas. But the password reset facility IBM used was hosted offshore and relied on traffic coming in from overseas to give Australians that password, suggesting it hadn't been properly thought through. IBM was for many hours unable to restart it because it had incorrectly coded a router connecting to Telstra, so that when it was turned off the coding "fell out", turning it into a "dumb unit" that had to be recoded. "Had the router been properly configured, and had the router when it had been turned off fired back up again, then we wouldn't have a problem," Mr MacGibbon said. "But the most significant problem was really the misinterpretation of the traffic on the load monitoring system. We wouldn't have had the problem if the people monitoring the system had properly monitored the system, which was functioning oddly." IBM had offered to pay the extra costs the ABS incurred as a result of the outage, estimated by the ABS to be $30 million. It is in "commercial negotiations" with Secretary of the Treasury John Fraser. Mr MacGibbon also criticised the closeness of the bureau to IBM, saying there was a degree of "vendor lock-in", where the ABS saw IBM as a natural partner because it had worked with it in the past. The bureau's chief, David Kalisch, told the committee he would have considered an open tender had "IBM not been able to satisfy the ABS that it could deliver". One of many "learnings" the bureau had taken from the experience was that it might be worthwhile running the next census in-house and that the slogan "Get Online on August 9" may have contributed to the problem. Mr Kalisch defended the bureau's decision to retain the names submitted with this year's census and revealed that in the past no one who declined to submit their name had ever been prosecuted. "We have been told time and time again that supply is the answer," he said. "But it's no good creating cities in the southern highlands and outside of Goulburn and outside of Shepparton if the same game is played time and again where the investor will have an enormous advantage over the homebuyer and then dominate that market. In evidence to Mr Alexander's inquiry, Reserve Bank official Luci Ellis said investors were themselves constraining supply, noting that "it is a truism that if an investor is buying a property an owner-occupier is not". The government is sitting on hundreds of pages of evidence and scores of submissions about housing affordability it is unable to use because it let its inquiry into the subject lapse. News of the quashed inquiry emerged as Treasurer Scott Morrison delivered a speech in which he declared housing affordability to be an "important policy focus" of the Turnbull government in the new parliamentary term. The inquiry was initiated by Morrison's predecessor, Joe Hockey, in April last year. Undertaken by the House of Representatives economics committee and chaired by Liberal backbencher John Alexander, it took evidence from the Treasury, the Reserve Bank, ANZ Bank, the Law Society and housing economists. Mr Alexander said at the time it painted a picture of a nation turning from a "commonwealth", with huge home ownership, into a "kingdom" made up of landlords and serfs. One of the ideas considered by the committee was a winding back of negative gearing. He was replaced as chairman by Liberal MP Craig Laundy shortly after hearings concluded in September last year. Mr Laundy has told Fairfax Media he had worked on a draft report with the committee secretariat but wasn't able to put it to the committee before he was promoted to the ministry and replaced with backbencher David Coleman shortly before the election. Under the rules governing committees, the inquiry "lapsed" with the election, meaning Mr Coleman is unable to restart or conclude it without a fresh referral from Treasurer Scott Morrison. A Labor member of the committee, Pat Conroy, believes the inquiry was allowed to lapse because its conclusions would not have suited the government. "There were incredibly strong arguments for reform to the current system of incentives to make housing more affordable," he said. "We got lots of good evidence out of the Reserve Bank and Treasury to that effect, so any balanced report would have had to reflect that testimony." Opposition Leader Bill Shorten strongly criticised the government for saying nothing about housing affordability during the election other than to attack Labor's plans to wind back negative gearing and capital gains tax concessions. "They rubbished Labor's plans," he said. "Now, belatedly they are engaging in a cruel hoax. They are pretending to want to do something about housing affordability, yet all they're proposing is the states make some administrative changes." Economist Chris Richardson, of Deloitte Access Economics, said young people who were struggling to get into the housing market shouldn't be too worried, because renting made more financial sense at present. "It makes sense to rent because there are a hell of a lot of people taking a large punt [on buying property]," he said. While interest rates were unlikely to increase in the short term, Mr Richardson said that inevitably they would have to rise, and at that point house prices would cool and affordability would begin to improve. On the policy solutions pushed by the two major parties – Mr Morrison's calls for states to ramp up housing supply and Labor's policy of reducing capital gains and negative gearing tax concessions – Mr Richardson said both approaches would have a limited but beneficial impact. "Doing something on the supply side is good – it's overdue, I'll applaud it," he said. "But it's also hard to do, because you are herding cats; the states and territories and councils have a lot of power, too. These are sensible changes being talked about, but they are not make or break around affordability." Asked whether the Treasurer would restart the stalled home ownership inquiry, a spokesman for Mr Morrison said there had been "a number of inquiries into this issue". The government was "able to draw upon the testimonies and reports of those reviews in framing initiatives going forward", he said. The head of the Treasury moves quickly. John Fraser told a Senate hearing this week he wrote the department's new corporate plan "between 6 and 8.30 one night as I was waiting to go out to dinner". In it, he tossed aside the "wellbeing framework" that for a decade has been supposed to guide the treasury in its assessment of what government decisions are good and bad. All that really mattered was jobs and growth. "We are talking about living standards," he said. "And if living standards are not about wellbeing, then I do not know what is." But there is much, much more to a good life than jobs and growth, and the head of the treasury ought to know it. Who gets that growth is the start. The framework used by his predecessors (which Fraser says he has never seen) had as the second of its five points "the distribution of those opportunities". Under that criteria a decision that further concentrated wealth (such as tax cuts for the already wealthy) would clearly have been recognised as worse than one that spread it more broadly and the government would have been told so. The third point was sustainability. If economic growth was built on sinking sands – such as burning brown coal and using up Australia's allocation of carbon emissions quickly – it would arguably have been regarded as worse than one than one that cut back on emissions earlier and more gradually. In fairness to Fraser, there's no reason to think he doesn't get this. His idea of targeting "living standards" easily incorporates making sure living standards are sustainable. But it incorporates points four and five not at all. These days, when for most of us material wealth isn't too bad, they might be the most important of all. Increasingly, what really matters to us is stress. It weakens us, regardless of our wealth, and it is often brought on by government decisions that force us to go through needless hoops. Points four and five were "the overall level and allocation of risk borne by individuals and the community" and "the complexity of the choices". Simplifying life was this week recognised in Britain the United Kingdom as an explicit policy goal, particularly when designing programs for people who are already highly stressed. While our government tried to get through the Senate rules that would further stigmatise and inconvenience Australians applying for unemployment benefits, the British Behavioural Insights Team Behavioural Economics Unit nominated reducing "cognitive load" as one of the most important things governments could do. "We all have limited mental processing capacity to reason, to focus, to learn new ideas," it said. "The worries involved in making ends meet already deplete bandwidth, so government services aiming to tackle disadvantage – such as savings schemes, employment advice and parenting programmes – should be required to pass a cognitive load test to ensure these services do not make it harder for people on low incomes to make good decisions." If only we'd cottoned on first. In undertaking its mission Treasury takes a broad view of wellbeing as primarily reflecting a person's substantive freedom to lead a life they have reason to value. The head of the Bureau of Statistics has apologised for poor judgment and testing the patience of Australians during the 2016 census, and revealed that the failure of the digital system cost taxpayers $30 million. Reading from a prepared statement at the start of a Senate estimates hearing, David Kalisch said he wanted to thank the Australian population for "their forbearance and diligence" in completing the census which was taken offline at what would have been the peak period for submitting forms. "The ABS tested the patience and commitment of many households especially through the difficulties accessing the call centre and the unavailability of the census online form for nearly two days," he said. "We made a difficult decision to take the system off line on August 9 to ensure the security of census data, but we should not have got to that point, and the system should have been robust to denial of service events." "The ABS made a number of poor judgments in our preparation for the 2016 census that led to the poor service experienced by many households. I apologise to the community on behalf of the ABS and I repeat that apology sincerely again today." 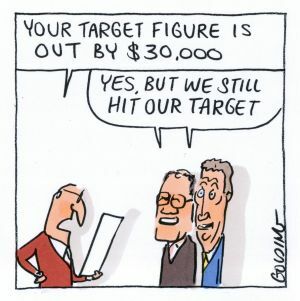 Mr Kalisch revealed that while the move to a predominantly digital rather than paper-based census had been intended to save $100 million, the attempts to recover from the system shutdown cost another $30 million, cutting the net saving to $70 million. "We have to date probably incurred additional costs of around $20 million ... and we anticipate possibly spending another $10 million," Mr Kalisch said. The census website suffered a further denial of service attack after it had been put back on line, one the Bureau and its contractor IBM put a lot of effort into successfully repelling. The Bureau also badly handled its bid to retain the names submitted with the census, which had previously been disposed of after processing. It allowed only three weeks for comment and received only three submissions. "I think it's probably fair to say there should have been a longer consultation process," he said. "We should have planned that better." Ninety six per cent of households appear to have completed the census, more than the target of 93.3 per cent, but a full accounting won't be possible until March or April next year. Fifty eight per cent completed the forms on line, much less than the target of 65 per cent. Prime Minister Malcolm Turnbull has ordered an inquiry into the census to determine "which heads will roll and when". Mr Kalisch was appointed to the $705,030 post in 2014. He will appear before a specially-convened Senate inquiry into the census next week. Anyone would have thought Philip Lowe had it made. The new Reserve Bank governor has taken the helm at a time when the Bank's traditional enemy, high inflation, is dead. He says he is the first to have done so. Yet he is worried by the fruits of that success. If you're wondering what could possibly be worse than high inflation, the answer is "very low inflation". It may not destroy savings or spiral upwards, as inflation did when it soared to 18 per cent in the middle of the 1970s, but it can do things that are worse. It can leave sellers – be they workers, manufacturers, retailers, importers or whoever – without power. And without power, without the hope of extracting higher prices, businesses have little reason to invest. Japan has been lumbered with extremely low inflation for most of the past two decades. They are called the "lost decades" because businesses and consumers have kept their wallets shut. It's not like that here, not yet. 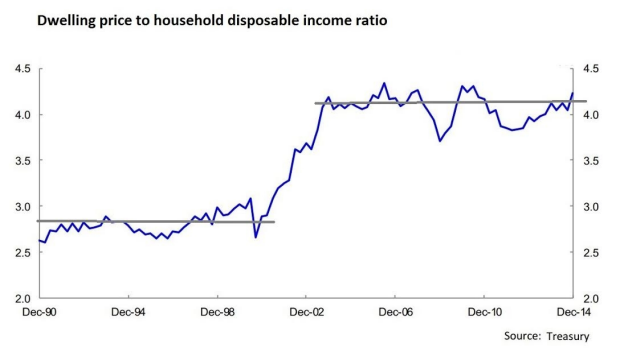 But the household saving ratio, which was close to zero when inflation was high before the global financial crisis, has shot up to 8 to 10 per cent. Like low inflation, high saving is good – we've forever been exhorted to do it – but too much of a good thing can stop the economy turning. On Tuesday, in his first speech as governor, Lowe explained that headline inflation had fallen to just 1 per cent – the lowest, with two brief exceptions, since the recession at the start of the 1960s. So-called underlying inflation is the lowest in records dating back to the start of the century, at 1.5 per cent. It's fallen because producers and workers worldwide lack pricing power, in part because globalisation has exposed them to competition from producers and workers from elsewhere who will do the job for less. Information technology means that these days service industry workers such as academics, journalists, accountants and financial planners are no longer safe. The Bureau of Statistics wage price index grew by just 2.1 per cent over the past year, the least since it began in the late 1990s. Lowe says when the Bank and the Bureau examined the individual records for each of the 18,000 jobs that make up the index they discovered that wage rises were happening less often, and that in most industries were smaller. "The decline in the average size of increases is largely due to a very sharp drop in the share of jobs where wages are increasing at what, by today's standards, would be considered a rapid rate," he explained. "Six years ago, almost 40 per cent of jobs received a wage increase in excess of 4 per cent. Over the past year, less than 10 per cent have got that type of increase." You might be thinking that low wage rises aren't a problem so long as prices are increasing by less. But that ignores a little-recognised phenomenon known as "mortgage tilt". When you take out a mortgage in a world of high inflation, your payments are "front-end loaded". That's a technical term used by the former governor Glenn Stevens and the head of his financial stability department Luci Ellis to describe the phenomenon where payments used to start high, but then fall as a proportion of income with each wage rise. In a world of low inflation the "tilt" becomes much less severe. If repayments consume a large proportion of your wage at the start, they'll keep doing it for decades. Ellis says the banks either haven't caught on to this, or don't want to own up to it. They use the same formulas to assess how much they'll lend as before. They link repayments to income. And because low inflation means low interest rates, repayments are lower than they used to be for any given loan, meaning they can lend more. The result is higher house prices, and harder-to-repay loans. Even the head of the treasury complained on Wednesday that houses were becoming impossible to afford (and he could have added, impossible to pay off). If anything the "tilt" matters more for businesses. They are not as easily fooled as homebuyers. Knowing there's little chance of their repayment burden shrinking if they can't push up prices, and believing they won't be able to push up prices, they become much less keen to borrow, however low the interest rate. They become less keen to invest and to take on more workers. In May the budget forecast a rebound in non-mining investment of 3.5 per cent this financial year. The latest investment intentions survey shows non-mining businesses expect instead to cut investment 14 per cent. To the extent that "tilt" is one of the reasons, deeper cuts in interest rates won't much help. We've a problem, one born of success. Low inflation looks good, until you're in it. Australia's top financial regulator has dismissed as self-serving arguments by the big four banks that they can't afford to offer so-called "tracker mortgages" whose rates would automatically rise and fall in line with the Reserve Bank cash rate. Westpac, the Commonwealth, ANZ and National Australia banks each argued in parliamentary hearings earlier this month that there would be little demand for tracker mortgages of the kind that are offered in the United States and Britain because they would have would have to charge too much for them. In testimony on Wednesday, Australian Securities and Investments Commission chairman Greg Medcraft tabled a 10-page briefing note he said showed each of the bank's funding costs "completely tracked" the cash rate. "And the reason for that is not really rocket science, it reflects the fact that 60 per cent or more of their funding comes from deposits, which are based on the cash rate," he said. "Where they get it wrong on funding, that risk shouldn't be passed to the borrower. All a tracker rate would mean is having, like in most parts of the world and in corporate Australia, a rate that is a simple margin over a benchmark." On Monday, a small Queensland bank, Auswide, launched what is believed to be Australia's first tracker loan, offering 3.99 per cent, which would vary only in accordance with the cash rate. The rate cannot fall below 2.49 per cent - which it would hit if the Reserve Bank cut the cash rate to zero. Mr Medcraft said the fixed margin would last for the entire life of the loan, a better deal than was offered overseas, and said that if a little bank could do it, "a big bank can do it". "It may be technically correct, as the banks have argued, that they don't fund off the cash rate," his briefing paper said. "However, overall, the weighted average funding cost for a major bank is correlated to the prevailing RBA cash rate. This is because most debt securities and deposit products either automatically adjust or are hedged using interest rate derivatives against adverse interest rate movements." "I think that this would actually assist borrowers to have greater trust and confidence in rates, which would allow them to think about switching mortgages more easily," said Mr Medcraft. "They wouldn't be confused between movements in the margin and movements in the standard variable rate as they are today. Comparability would not be an issue." So concerned is the head of the Treasury about the cost of housing, he says he is having to help out his own son, and that parents like him are endangering their superannuation. "It's a worry, the Bank of Mum and Dad," Treasury secretary John Fraser told a Senate estimates hearing. "I talk with people my age, and the Bank of Mum and Dad is becoming more and more prevalent. It has impacts on superannuation, where superannuation is going to, it has impacts on why people are saving in their older years, to fund their children's housing needs. And not just purchase, but often rents. "I am not talking not just about young people entering the housing market as young professionals, I am talking in particular about the lower income people. It's an area that I do worry about." The latest CoreLogic index shows Sydney house prices have climbed 11 per cent over the past year, and Melbourne prices 9 per cent. Sydney apartment prices climbed 13 per cent and Melbourne apartment prices 9 per cent. In the past five years Sydney prices have climbed 60 per cent and Melbourne prices 27 per cent. Asked why it was happening and what could be done, Mr Fraser said he had four Treasury officers working on it full time. Part of the reason for high prices was planning regulations that constrained the supply of land. Another part was the role of increasingly wealthy buyers in bidding up prices for everyone else. "A big factor is that the wealth is in houses," he said. "And this is the cycle that we've got: high house prices, high wealth, and people feel more comfortable about taking on more debt." He said before taking on more debt, buyers should ask themselves how they would cope if their income was hit, or if they lost their jobs. The former London merchant banker said housing was moving out of reach all around the world. "I was in London recently, and at the pub the issue is the same: how much you've got to give the kids in order to get them a start," he said. "In London, you've got no hope. I had a son who was there as a primary school teacher. There's no way he could have been a primary school teacher in London unless someone was picking up the tab for his rent, and that's happening more and more. "'I don't take any joy that we have this housing situation." A decade ago in the lead-up to the global financial crisis, the Bureau of Statistics dimmed the lights. It suspended its job vacancies survey and slashed its employment survey by a quarter. When the crisis hit, the new treasurer, Wayne Swan, was in the dark. Without the job vacancies data, he didn't have a check on employment data that had itself become erratic and unreliable at the local level. He and the Reserve Bank had little idea how things were panning out across the country. The Bureau eventually got extra funds and restored the surveys (after the worst of the crisis had passed), but more recently it has been cut and cut again. Labor cut $10 million on the way out in 2013 and the Coalition cut $68 million on the way in in 2014. So hard up was it before it got a reprieve in the lead-up to this year's census that it asked the government for permission to abandon it so it could use the funds to fix its antiquated computer systems. In 10 years its workforce has shrunk by one sixth. On Thursday, its chief David Kalisch revealed it did "not have the resources to undertake all the activities that fall within our legislative mandate that our users would like". This time it is leaving the job vacancies survey alone. Instead it's going after the monthly retail sales survey as well as those on housing and lending finance, and a number on international trade. It says it will consult with users about making them less frequent, which will make them less useful. The Reserve Bank in particular relies on the monthly housing finance survey to give it a handle on what happens as soon as it moves interest rates. It's what CommSec chief economist Craig James calls "forward looking" data. Applications for home loans provide a good guide as to what's about to happen to home building. HSBC economist Paul Bloxham says retail sales and borrowing figures are important for more than just the Bank. Individual companies and retailers themselves are economic managers. They need to know what's going on. Deloitte Access Economics director Chris Richardson says we'll be able to live with the cuts "until we can't". "Until the next financial crisis or whatever it is rolls through town and we're desperately trying to get a pulse, or indeed find one, that's when we'll know what's missing," he says. Many more surveys are up for axing altogether, unless user funding is secured, among them those on internet use, the experience of patients in hospitals, victims of crime, and the foreign ownership of agricultural businesses. Labor's Andrew Leigh quipped that given the government's success with the national broadband network, it probably didn't want surveys about internet speeds, and given its war on Medicare it probably don't want surveys about patient experience. The cuts came on top of "what had to be a contender for the worst managed census anywhere in the world in 2300 years". It might be a cynical bid for more funds, as some say the earlier cuts were. If so, we should consider handing them over. We need the surveys. What if, suddenly, we were out of the woods? Quietly, the mining industry has just doubled the price of coking coal. Instead of getting $US81 per tonne as it did back in March, for the next three months it'll get $US200 per tonne from Japan, the most in four years. And Japan has reason to be grateful. The so-called spot price has surged even higher, to $US213 per tonne. If it stays there, or even near there, a good chunk of Scott Morrison's budget problems will have vanished, just as they vanished for Peter Costello during the mining boom at the start of the century. The Committee for the Economic Development of Australia believes Morrison needs to boost the budget by $17 billion per year if he is to get the deficit down to zero by the end of the decade. After a quarter-century of economic growth, that's probably where it should be, if not in surplus. To date he's shown himself to be incapable of much at all. The much-vaunted "omnibus savings bill" he has just got through the Senate saves $6 billion over four years. It's done it largely at the expense of payments directed to women (family tax benefits and the baby bonus) and students. But at the same time he's got through the Senate $4 billion of high-end tax cuts (which will benefit men more than women because they are twice as likely to earn high incomes). The net effect on the budget won't be much. It'll be improved if his superannuation tax hikes get through the Senate, and harmed if his company tax cuts get through. The explosion in the price of coking coal could deliver much more. 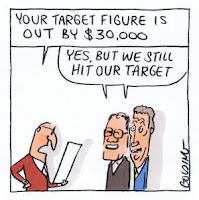 Access Economics says for every $US1 the price rockets, the budget deficit will improve $65 million. Multiply that by the number of dollars the price has rocketed and you get a boost of $7 billion per year if the new price holds. And that's just for coking coal. The iron ore price is up 40 per cent this year. The price of thermal coal (the stuff that makes electricity) is up 55 per cent. It's not bad for an industry that had been shutting mines and laying off workers. As is often the case, it's China that's been doing it for us. Part of it is an uptick in residential construction. Apartments need steel, which is made from coking coal and iron ore. The other part is a bureaucratic decision of the kind at which China excels. The central government believed the local authorities were mining too much coal (of both kinds) running up losses in order to chase volume. Rather than require them to turn a profit as Australia would have, it instructed them to cut their hours of operation. In April it forced all of its mines to cut their number of working days from 330 to 276. Suddenly, Chinese furnaces started needing more foreign coking coal. The world's best is in Queensland's Bowen Basin. Mines that had been shut down quickly reopened. Mines that had been barely profitable suddenly started earning enough to pay tax. If the price is sustained it'll do more than boost Morrison's budget. HSBC thinks it'll boost nominal GDP by 2 per cent. Nominal GDP is the best measure of the dollar value of wages and profits combined. And because the price will also push up the dollar, the buying power of those dollars will grow. There will be much less need to cut interest rates, most probably letting new Reserve Bank governor Philip Lowe off the hook. Moody's reported on Wednesday that it expects Australia to become the world's fastest growing AAA-rated commodity exporter, beating Canada, Norway and New Zealand. It's not likely to take away the AAA rating any time soon. Anyone who doubts that the benefits of that growth will spread should check out research the Reserve Bank conducted a few years back on the effect of the two mining booms at the start of this century. Running a computer simulation to work out what would have happened had those booms not happened it found >they lifted real per capita household income by 13 per cent, raised real wages by 6 per cent and cut the unemployment rate by 1.25 percentage points. Some of us did worse than others. Renters suffered while homeowners prospered. Workers in import-competing industries did less well than workers in industries that serviced mining. The booms transformed Australia, and more than fixed the budget, without our leaders needing to do a thing. This time it'll be less spectacular, principally because China can take away what China gives. In September it began loosening its restrictions on mining, allowing 74 mines to operate more days per year. And the rest of the world is in a better position to respond to Chinese demands for resources than it was last time. Our latest brand-new mini-boom might last no more than months, but it's painted a picture of how quickly things can change. Male mining engineers, school principals, surgeons and anaesthetists will be the biggest beneficiaries of the high-end tax cut before the Senate, with men more than twice as likely to benefit as women. The analysis, by the Australian Greens, comes ahead of a vote on the $4 billion cut which is supported by both the government and the opposition. Backdated to July 1, high-earning Australians will benefit from an increase in the second-highest tax threshold from $80,000 to $87,000; worth up to $6 a week. Australians earning less than $80,000 will miss out. The Greens' analysis, based on the most recent Tax Office data, finds the cut will help 28 per cent of male taxpayers, but only 13 per cent of females. Nine in every 10 surgeons will get the tax cut, but only two in every 10 nurses. Eight in 10 school principals will get the cut but only two in 10 classroom teachers. The workers least likely to benefit from what the budget describes as "targeted personal income tax relief" are kitchenhands, checkout operators, childcare workers and waiters, each of whom has a less than one in 100 chance of getting a cut. "The bill will deliver an extra $315 a year to the top 20 per cent of earners, including some of the wealthiest people in the country," said Greens treasury spokesman Peter Whish-Wilson. "Many are well beyond the group most affected by bracket creep." The tax cuts would "cancel out" two-thirds of the $6 billion in spending cuts agreed to by Labor and the government in the aftermath of the election. They began flowing to high earners on October 1, ahead of their passage through Parliament, a decision for which a spokeswoman for the Tax Office could find no precedent. Tax Commissioner Chris Jordan at first refused a request from Treasurer Scott Morrison to bring in the cut on July 1, saying he was only able to adjust tax scales in accordance with "enacted law". He backed down in September, saying public statements by both Labor and the Coalition had given him "confidence that it is likely Parliament will pass the amendments". A Senate inquiry into the cuts is due to report on Monday. Our biggest banks could be forgiven for thinking they've survived the worst. Coached within an inch of their lives by crisis management teams, their chiefs batted off 12 hours of questions before the parliament's economics committee this week without too much apparent damage. But the committee is yet to report. When it does, there's a chance it'll recommend something every bit as frightening to the banks as a royal commission. It's called a "tracker mortgage" and it would force them to work for their money rather than take it. It would give the rest of us the same rights in our dealings with banks as we have in our dealings with just about with everyone else. Who else other than banks can change the price of what we've bought after we've bought it? Energy companies can't. They sign us up to contracts that offer a fixed percentage off a regulated price. During the term of the contract the price can change, but only in accordance with changes in the regulated price. Nor can builders, painters, dentists and all manner of other service providers. They charge what we've contracted to pay, whether they end up liking it or not. Kevin Davis, research director at the Australian Centre for Financial Studies, points out that bank executives are paid handsomely for managing risk, but that in Australia they are able to pass most of that risk onto their customers. "A bank which is funding housing loans in a way which subsequently becomes relatively expensive can simply increase the rate it charges to existing borrowers," he writes in a submission to a Senate inquiry. "A bank which had its credit rating downgraded and faced higher funding costs could pass that onto both existing and new borrowers, rather than it impinging directly on shareholder profits". It can't happen in the United States, Japan, Korea, Canada, or most of the countries with which we usually like to compare ourselves. There the banks contract to charge a fixed amount over an indicator rate for the term of the contract. Visitors from those countries find our completely variable rates "amazing". Davis says he is not sure why we are unusual. He says it could be because our contract evolved before the 1980s when rates were subject to a government cap. When the cap was removed "the characteristics of the mortgage contract were not reviewed". He wants the government to prohibit loan contracts "which give lenders absolute discretion to change the interest rate on existing loans". It wouldn't mean tying mortgage rates to the Reserve Bank's cash rate. It would have to be a rate more relevant to their predictable funding costs such as the 180 day bank bill rate. Or the banks could offer fixed rates as they do already. The Greens agree, and the questions asked in this week's hearing suggest other members of parliament are warming to the idea. It'd salvage something lasting out of what to the banks has been an exercise in PR.